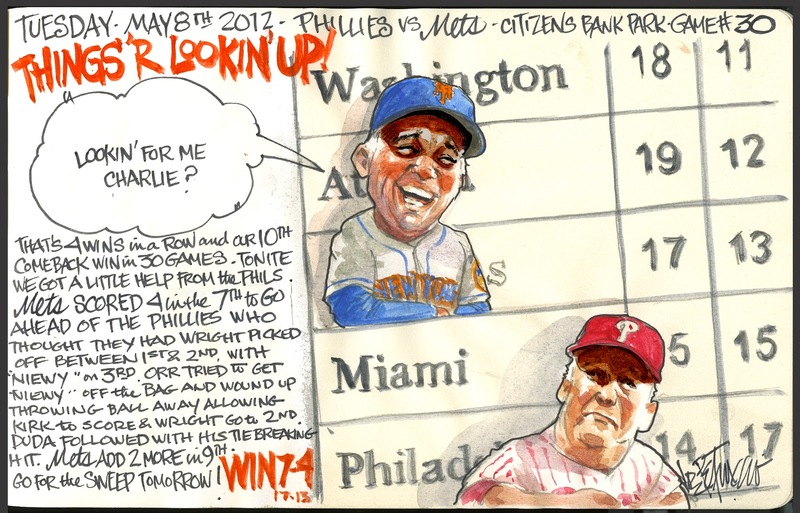 My Mets Journal: Nobody saw this coming! You guys are setting up the inevitable late-season collapse quite nicely. Looking forward to seeing all those black and white sketches in September! Joe, these game recaps get better and better. Hope to see you tomorrow with the broom !! !